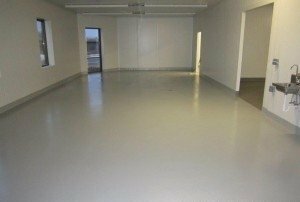 When an area is available for 24 hours or less, acrylic flooring is ideal due to its fast curing abilities. 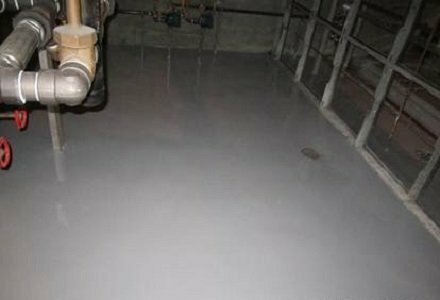 Quick Cure Acrylic (MMA) is used when minimal down-time is available, since cure time is shorter than other resins. 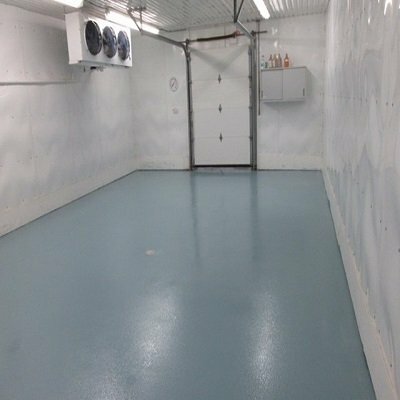 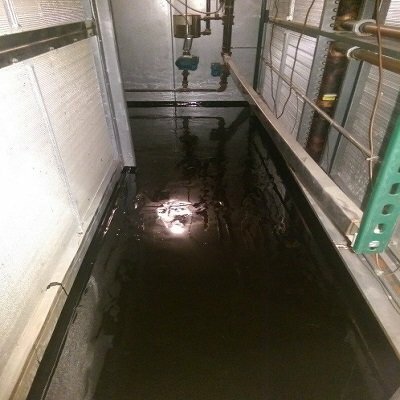 While there is an odor during installation complete cure occurs in one hour, even at temperatures below freezing, without affecting the physical properties of the final product. 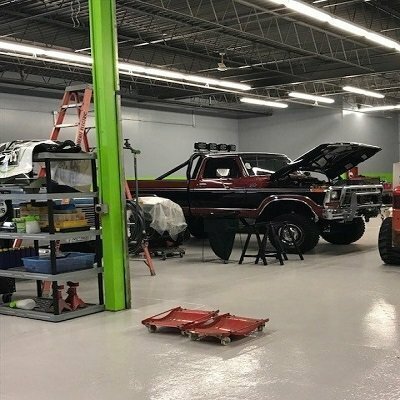 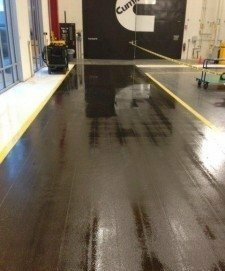 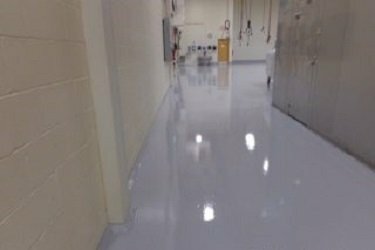 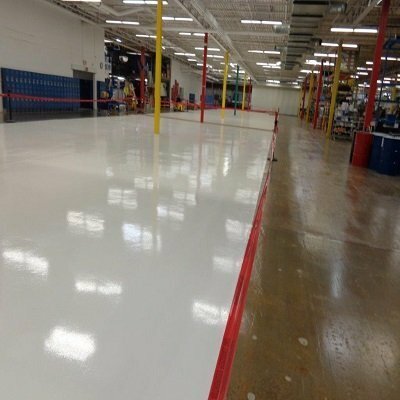 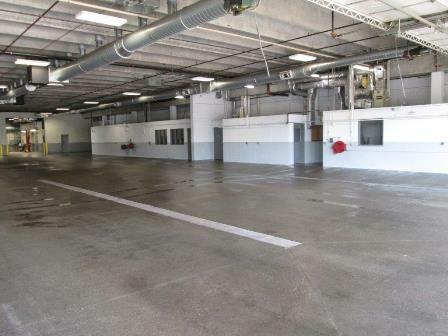 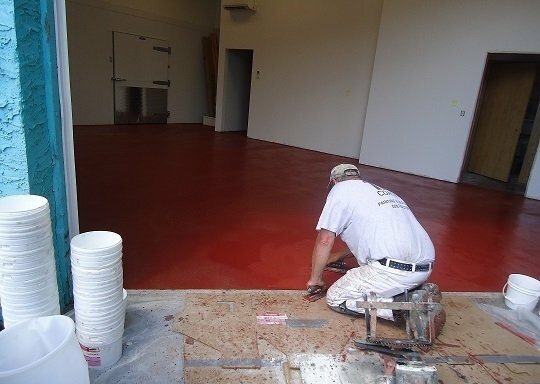 TMI installs Dur-A-Flex, Florock, Sika, Sherwin-Williams, and Rust-Oleum resinous, liquid-applied flooring products. 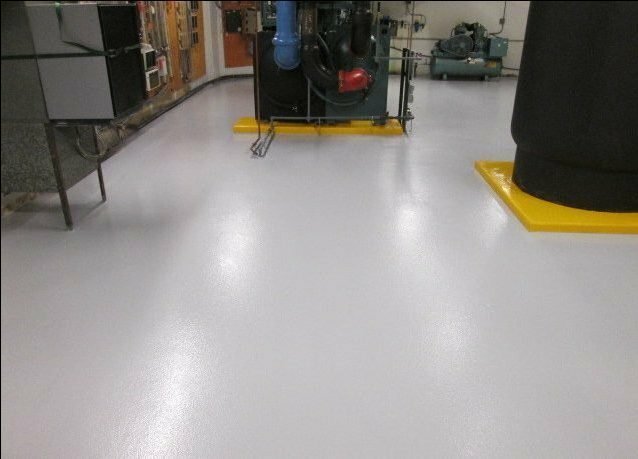 Finished surfaces are a non-glare, satin finish. 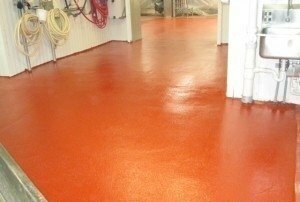 Surfaces can be pigmented, broadcast with colored quartz, or broadcast with decorative flakes. 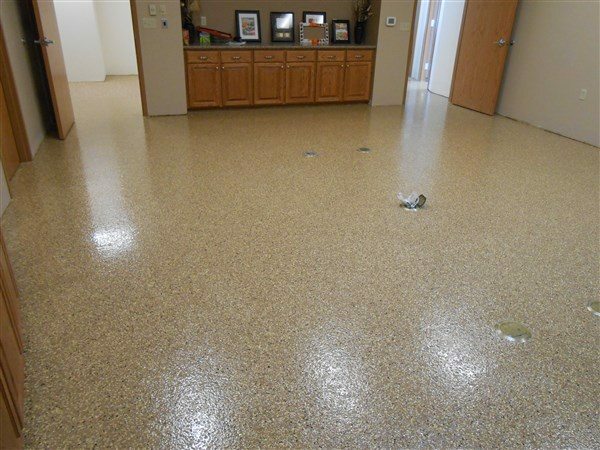 Colored quartz is available in twelve standard colors and decorative flakes are available in eighteen standard colors or can be custom blended. 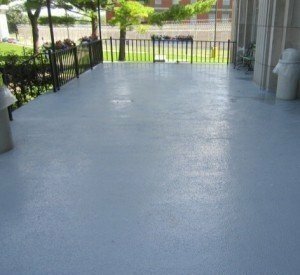 The surfaces can be smooth or slip resistant. 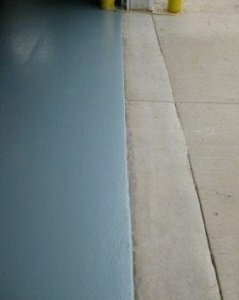 Many different and varied degrees of texture can be built into the finish depending upon the requirements in the environment. 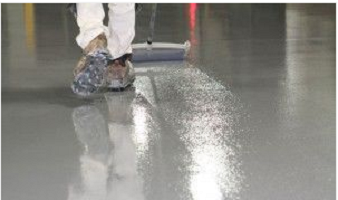 The finish textures can range from smooth to coarse, depending upon grit size, sanding method and number of topcoats. 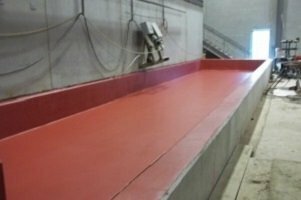 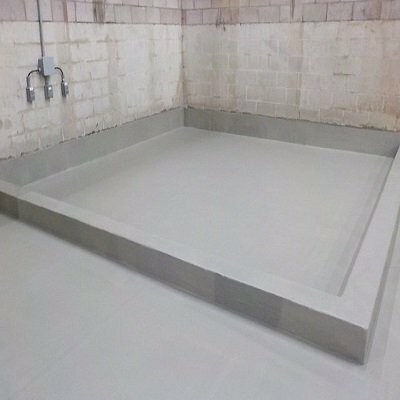 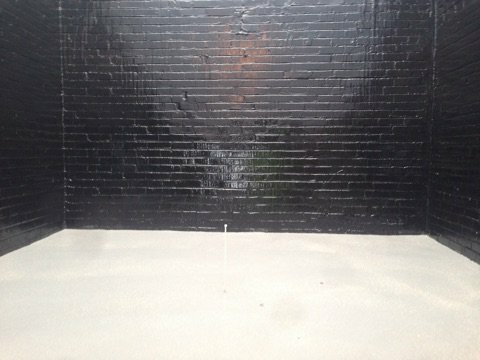 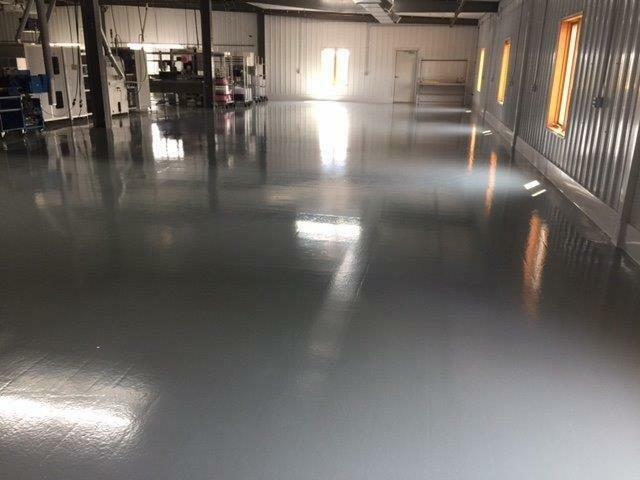 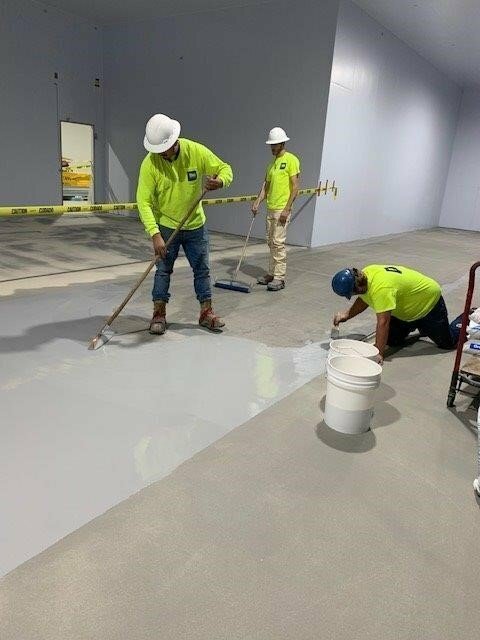 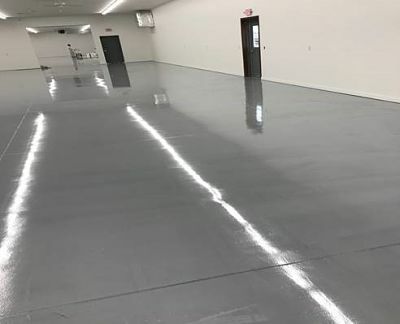 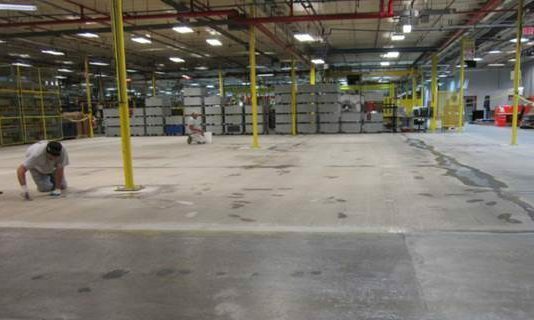 Tnemec Stranlok wall coating and cementitious urethane quartz flooring resistant to high water vapor transmission due to high moisture in the concrete floor. 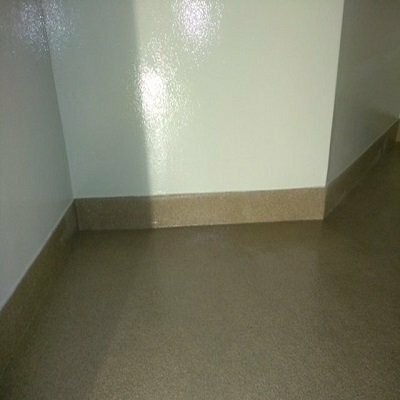 TMI Coatings crews completed installation in county jails and prison showers throughout the Midwest. 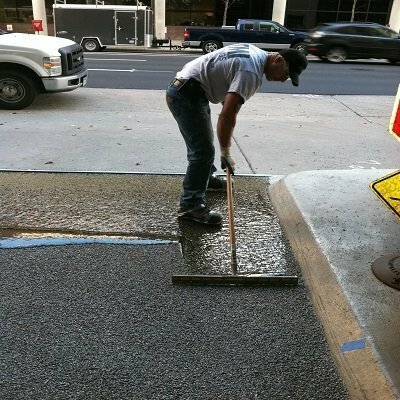 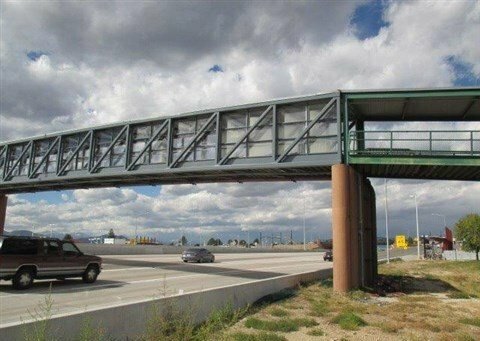 TMI Coatings is refurbishing and painting all steel members of the Westminster Bridge in Denver, Colorado over US-36 including implementing traffic control, pedestrian control, concrete restoration and traffic deck coating. 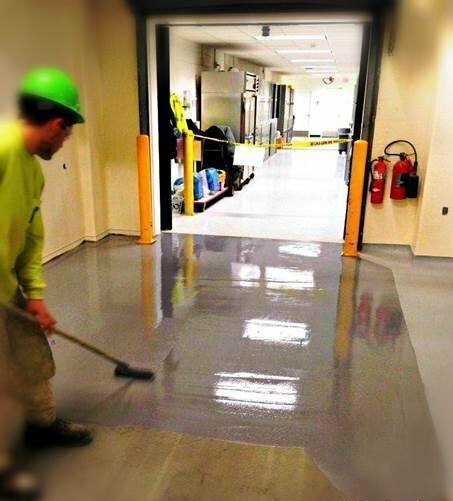 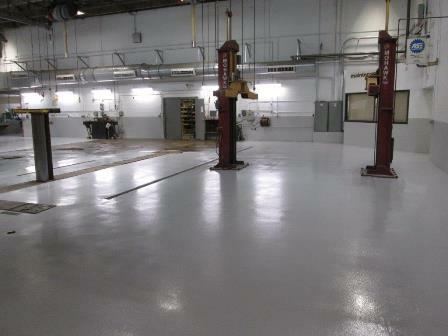 Gray and yellow CHEM-RESIST floor coating installed by TMI Coatings in a mechanical room. 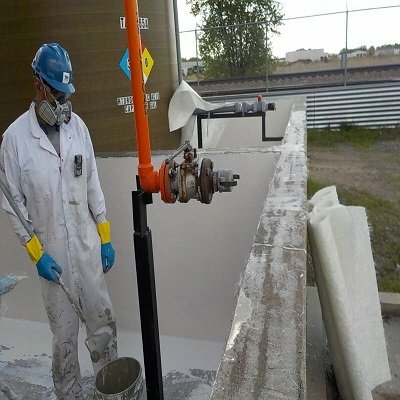 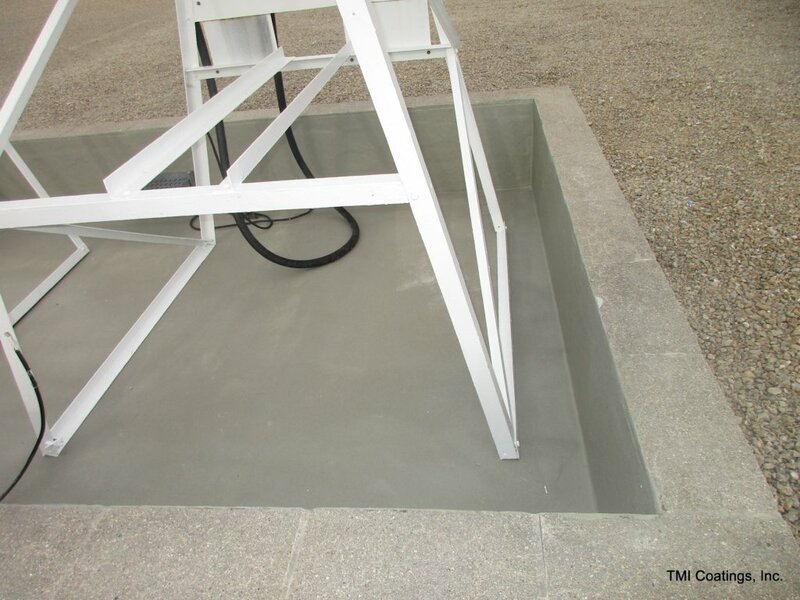 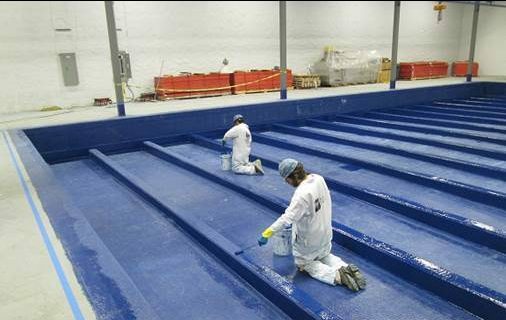 TMI installed FIBERLIFE to containment dikes that store harsh chemicals. 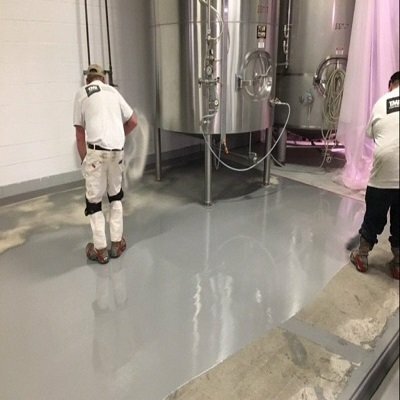 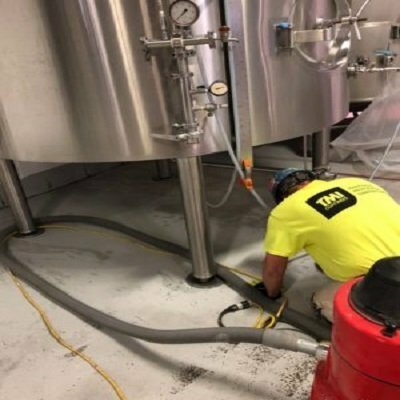 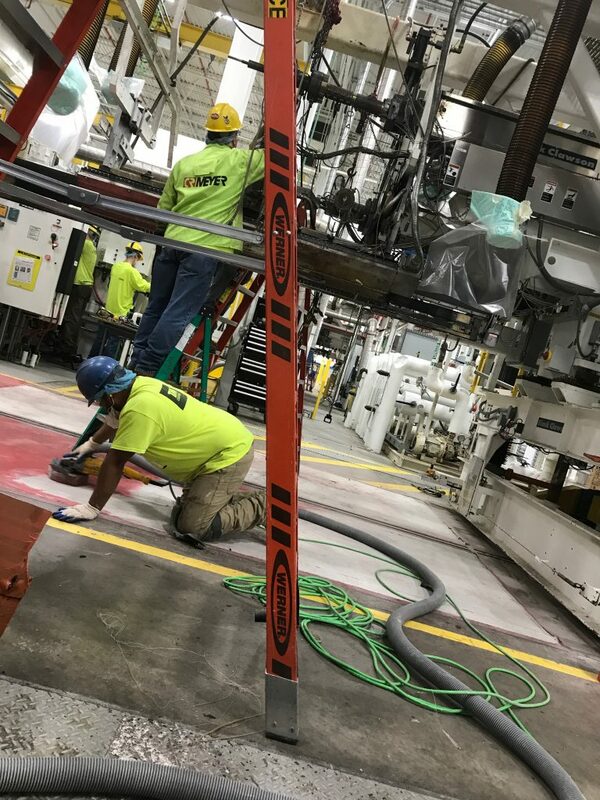 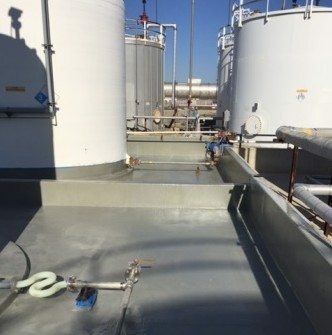 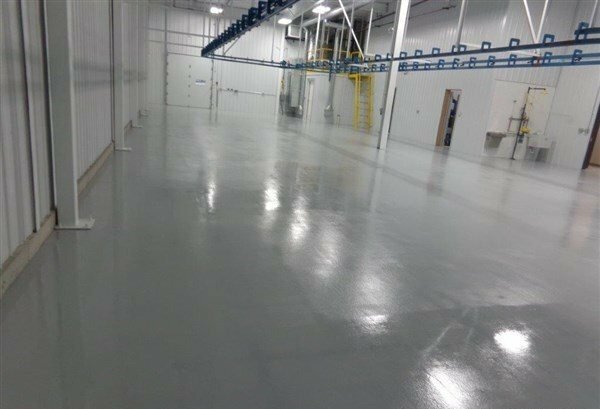 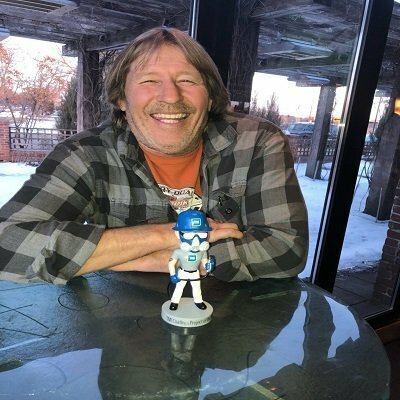 The customer stated, “The crew worked very well with our coordinator for the execution of this project.” The customer said he will use TMI to install protective coatings at their other locations.